By now I'm sure you've all heard of the gorgeous Swiss indie brand - Cadillacquer. 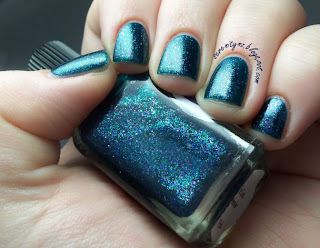 They create absolutely amazing polishes, and their glitter combos always work pefectly together. The following polish is from the Dexter Collection, and its called 'The Dark Defender'. Dark Defender is described as 'a dark teal jelly base with light green and purple micro flakies' which is pretty much on the money. 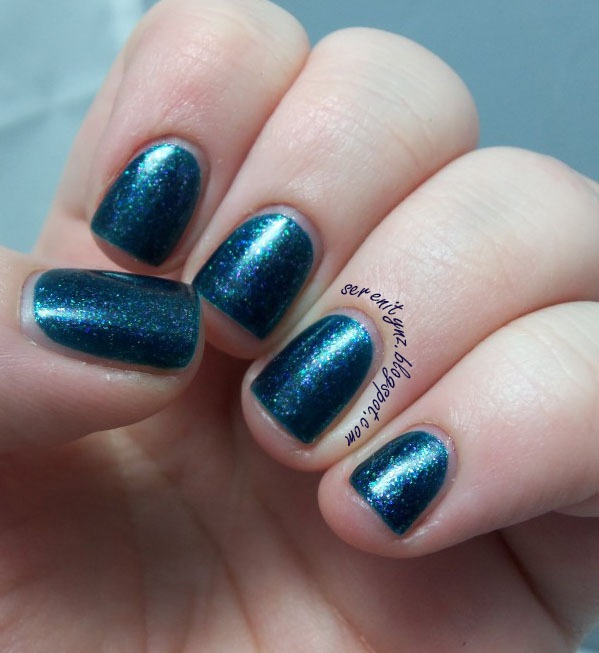 This polish is pretty much a teal lovers dream! The flakies work perfectly with the base and are nice and visible. Make sure you enlarge the pics so you can see the full awesomeness of this polish, its definitely a new favourite of mine! I purchased this from Llarowe (where it is currently still in stock) but it is also available from Cadillacquer's Etsy Store. Worldwide shipping is available from both sites.